Welcome To The Deer Tracks Suite! There is 4 bathrooms total per unit. The master bedroom has a full bathroom. 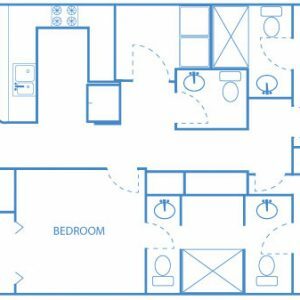 The other two bedrooms have a Jack n Jill bathroom each having their own toilets and share a full size shower. 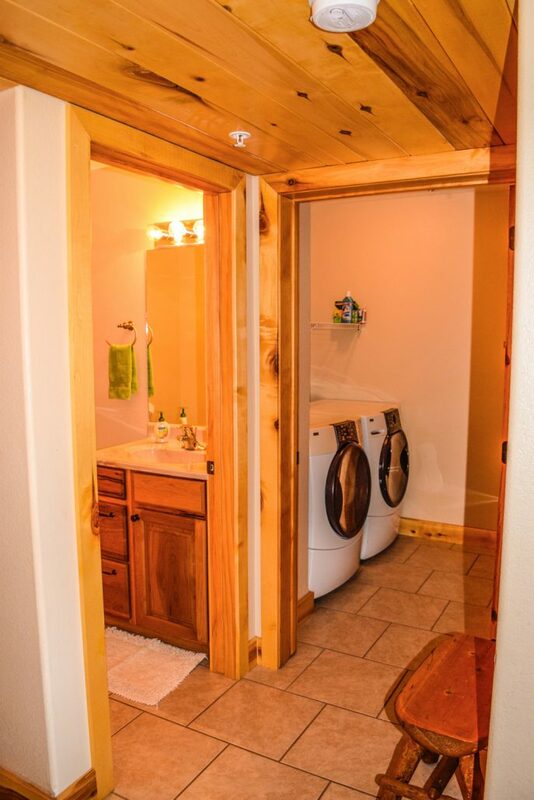 The fourth bathroom is a half bathroom for guests. The condominium has two televisions, a 47 inch LCD located above the gas fireplace and another television in the 400 square foot loft with a separate satellite receiver, so the Kids can watch their own shows. The meadow which is within view of the deck is a wonderful place for the kids to explore! Smoking allowed on the 1600 square foot wrap around covered deck. 47 inch LCD TV, Raised Pillow Top Air Mattresses, Premium Egyptian Cotton Bedding, 1600 square foot wrap around covered Deck with 50 ft counter/Bar space and a stainless steel gourmet gas grill, washer and dryer are in the unit, modern stainless steel appliances, and granite counter top, with eat at bar height counter. Fire pit, on site management/maintenance, personal guided tours/for an additional fee. Several Wi-Fi Hot Spots across the meadow in the Village. 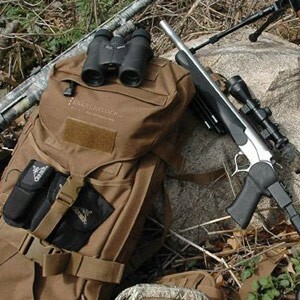 Whether you like to Track game with a LR-Scope or a 35mm Camera Lens, The Lodge is the Place to do it from. Duck Creek is the Central Hub of the Cedar Mountains. Here you will find all sorts of wildlife to shoot Pictures of or Hang on your wall, Book Your Trip Today! Here at The Lodge our Dear Tracks Suite is an amazing 1,800 SqFt. 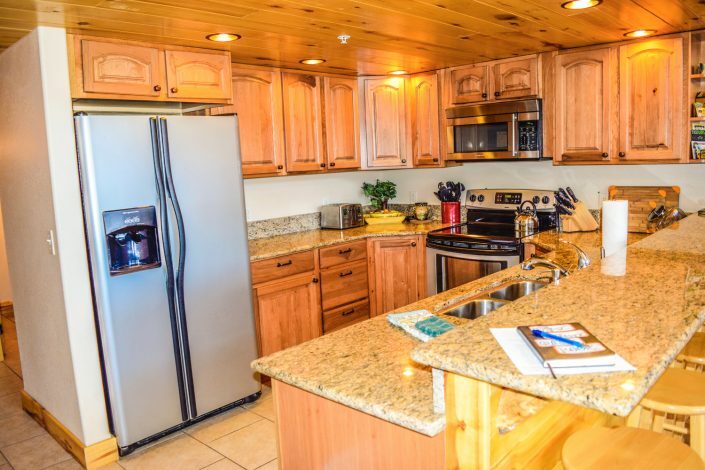 Like all the Units at The Lodge, this Suite offers an open floor plan that is very spacious. There are 3 Bedrooms and a sofa sleeper that allows up to 8 guests to get away from the city life and relax. 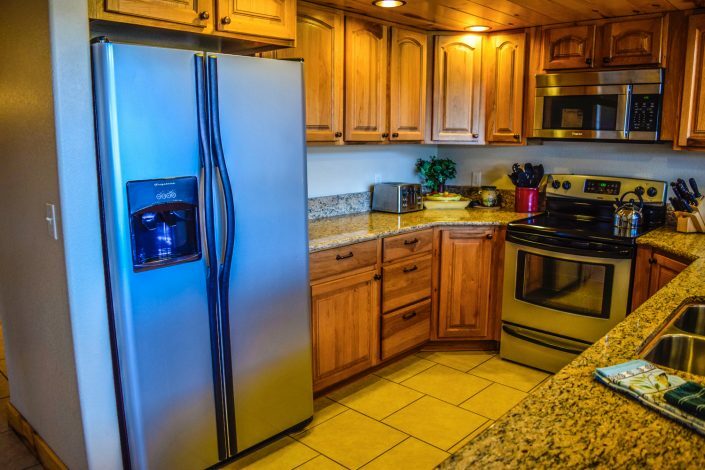 The Lodge at Duck Creek Village opened Fall of 2014. 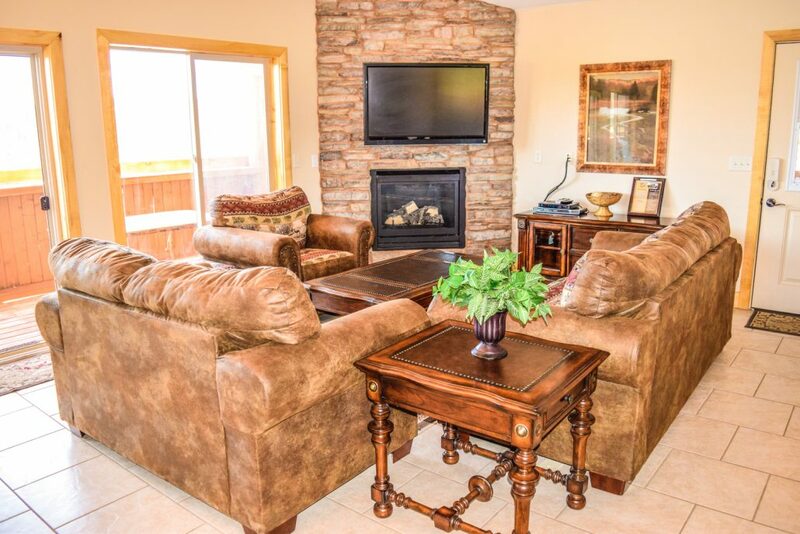 Located in Southern Utah, Duck Creek Village is a peaceful mountain meadow community. The Dixie National Forest surrounds the area and is world famous for off-road enthusiasts with inviting lodging and over 500 miles of ATV, Hiking, snowmobiling and biking trails to explore. The area is easily reached from I-15, three hours from Las Vegas. 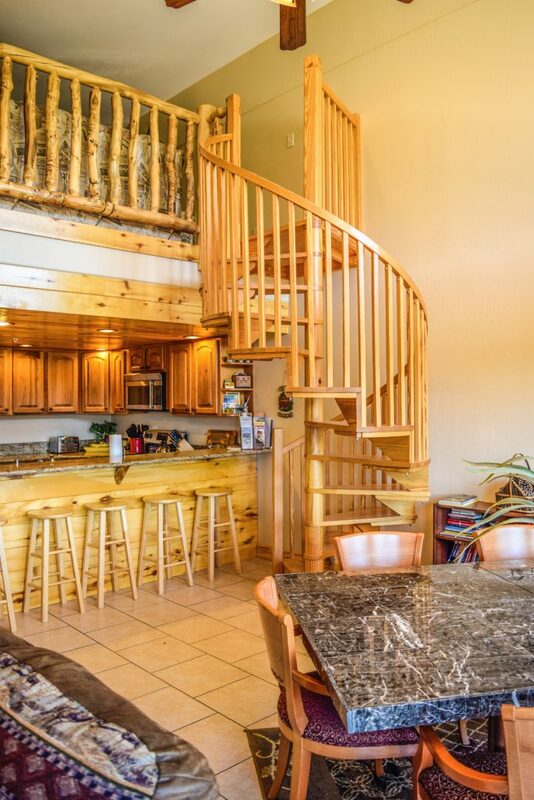 The Lodge at Duck Creek is located on top of Cedar Mountain right above Cedar City Utah. It is also centrally located to take advantage of a wide array of wonders that this area is blessed with. Know as the gateway to several National Parks and State attractions. Visitors can take advantage of fantastic fishing in Aspen Mirror, Navajo, and Panguitch Lakes, Duck Creek Pond, Mammoth Creek, and Otter Reservoir. There is horseback riding available in the area, as well as snowmobile, bicycle, and ATV rentals. Cedar Breaks and Brian Head are 16, and 23 miles, respectively, to the west. While Zion and Bryce Canyon are 42 miles drive to the east, and south. Grand Staircase Escalante National Monument is 18 miles east. Slightly longer day trips allow access to the Grand Canyon, Glen Canyon, and Capitol Reef. 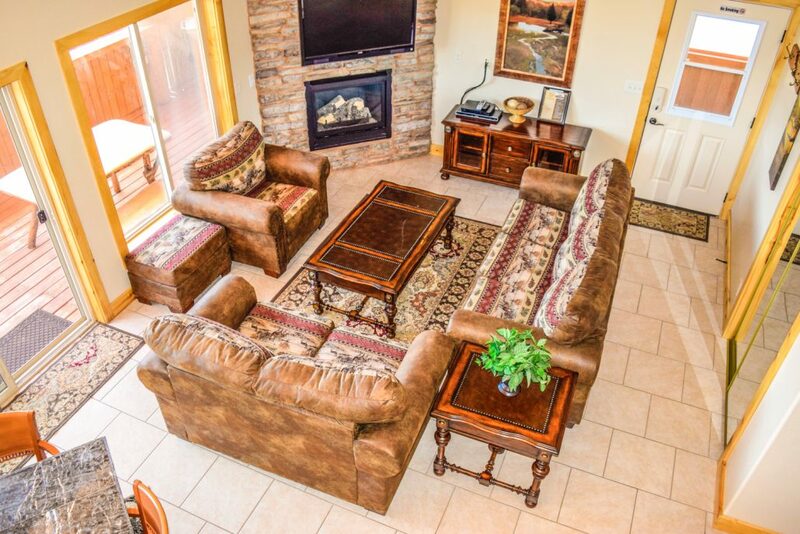 Welcome to our luxurious Lodge in Duck Creek Village, Utah. 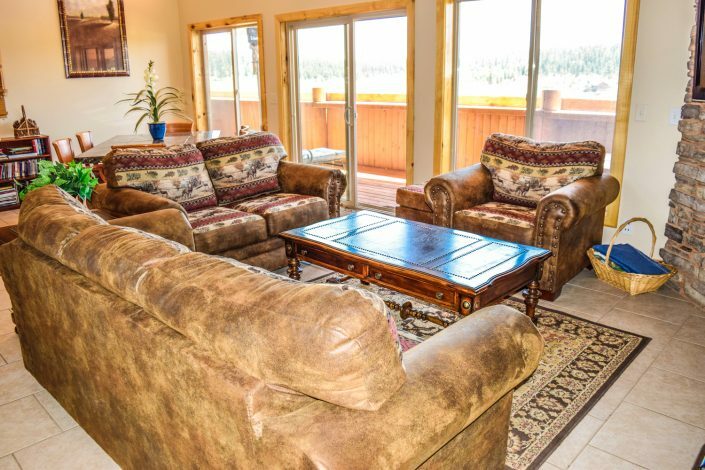 The Lodge consists of six apartment-like suites. The Eagle’s Lookout and Deer Tracks are 1800 sq. ft. and are located on the 3rd floor. 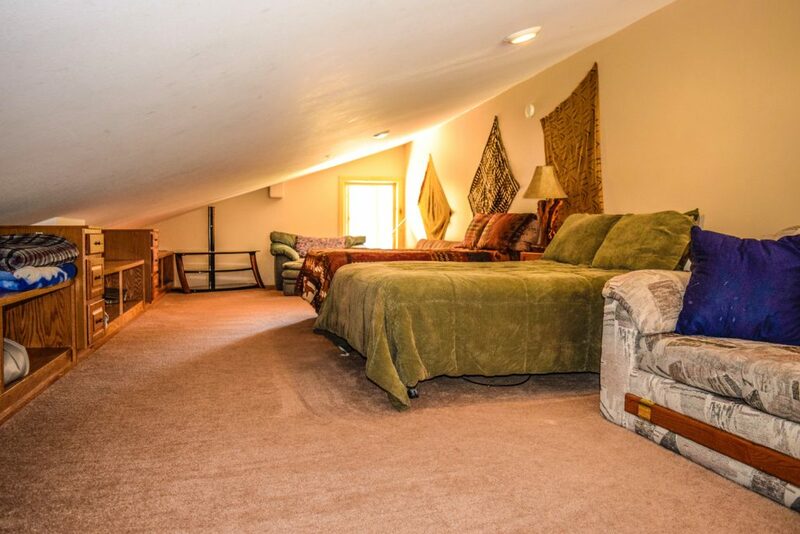 They both feature 3 bedrooms 4 bathrooms and a loft with 3 beds. 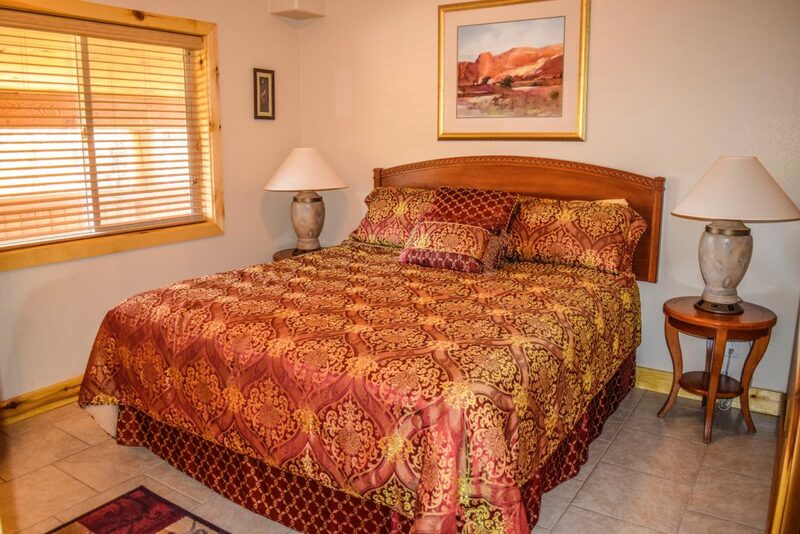 Two of the bedrooms have king beds and one is a master with its own bathroom. There is a third bedroom which has a queen size bed. 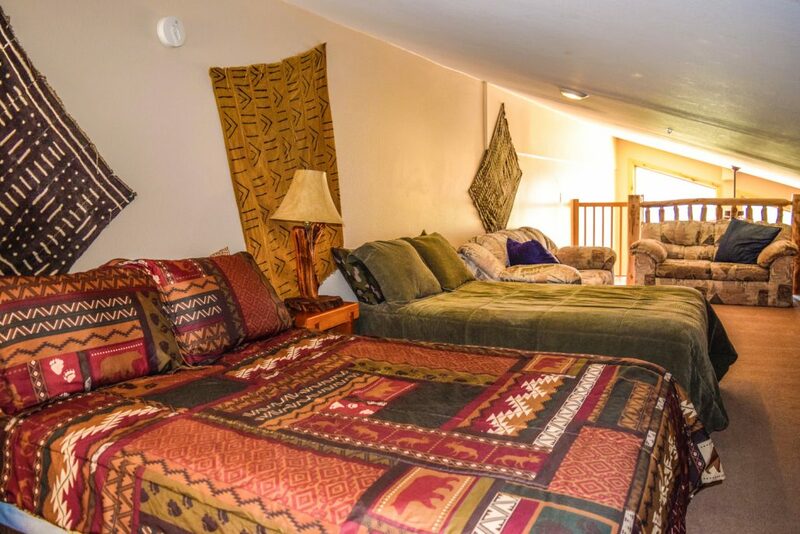 These suites sleep 12-14 in beds. The Bear’s Den and Wolf Pack suites are located on the 2nd floor. 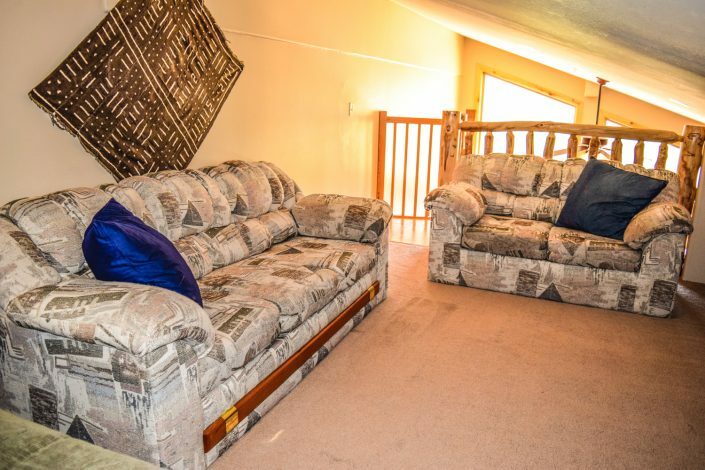 They both feature 3 bedrooms and 4 bathrooms. Two of the bedrooms have king beds and one is a master with its own bathroom. There is a third bedroom which has a queen size bed. These suites sleep 8 in beds. 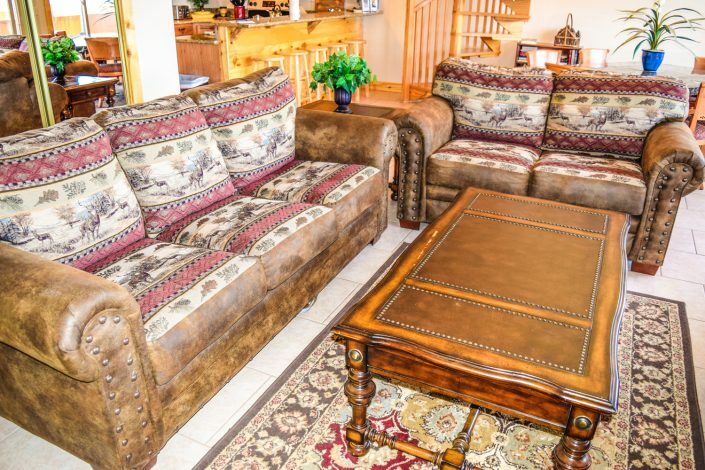 The Wolf Pack suite is also a pet-friendly accommodation. 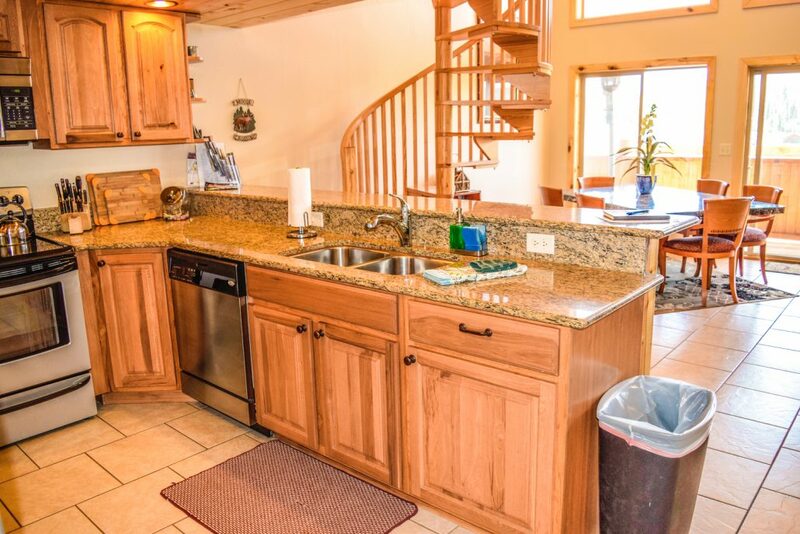 The Fisherman’s Landing and Nature’s Retreat are located on the 1st floor. 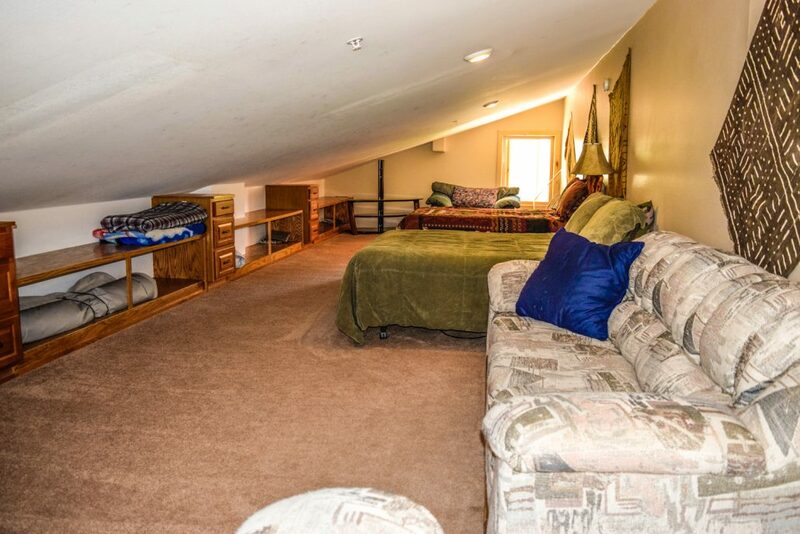 They both feature 3 bedrooms and 4 bathrooms. 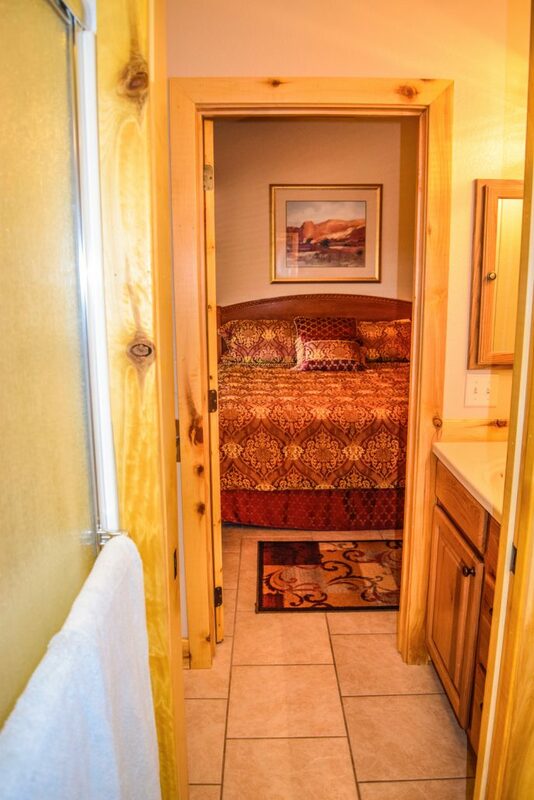 Two of the bedrooms have king beds and one is a master with its own bathroom. 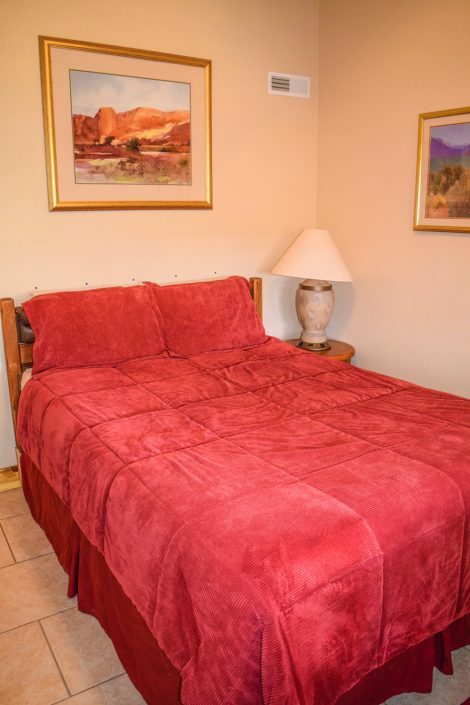 There is a third bedroom which has a queen size bed. These suites sleep 8 in beds. 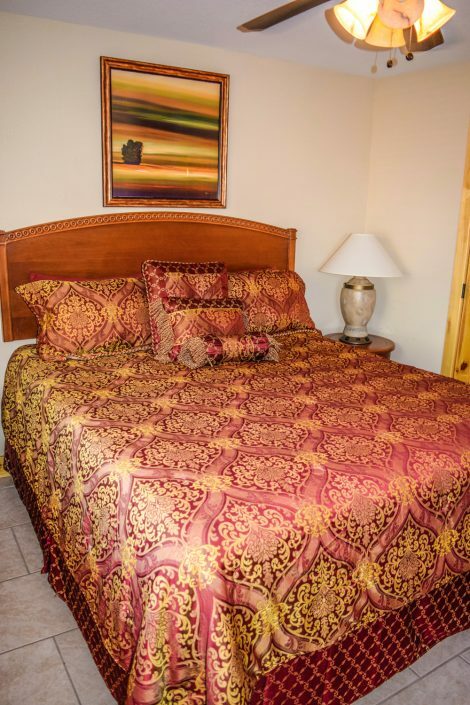 The Fisherman’s Landing is an ADA handicap accessible accommodation. 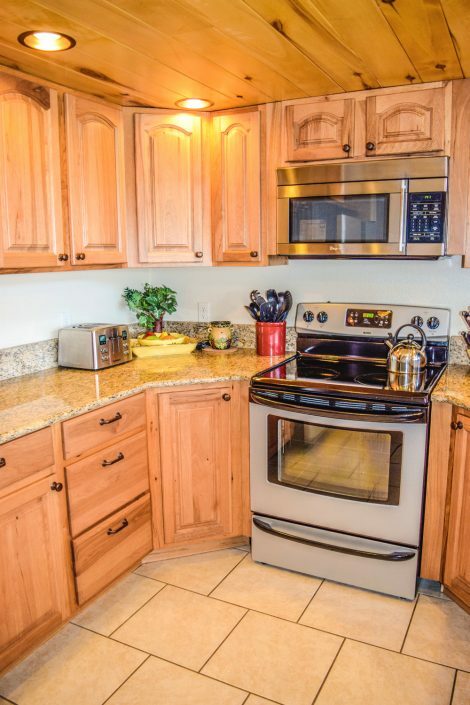 Every suite comes loaded with a fully equipped kitchen and all cooking equipment and utensils. 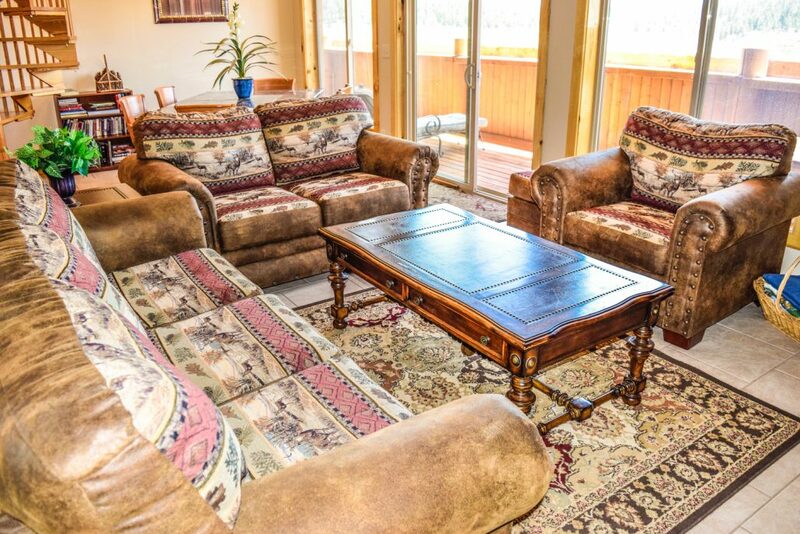 There is a living area with complimentary Direct TV and WiFi. 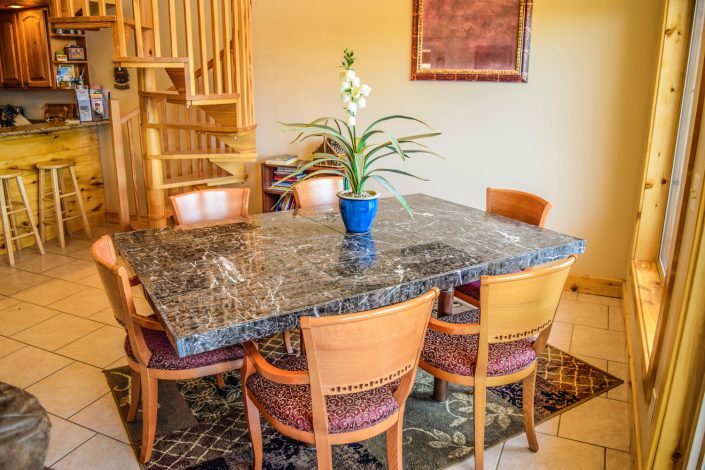 Every suite has a dining area and a laundry room with washer and dryer. Personal propane grilles are located out on the patio. 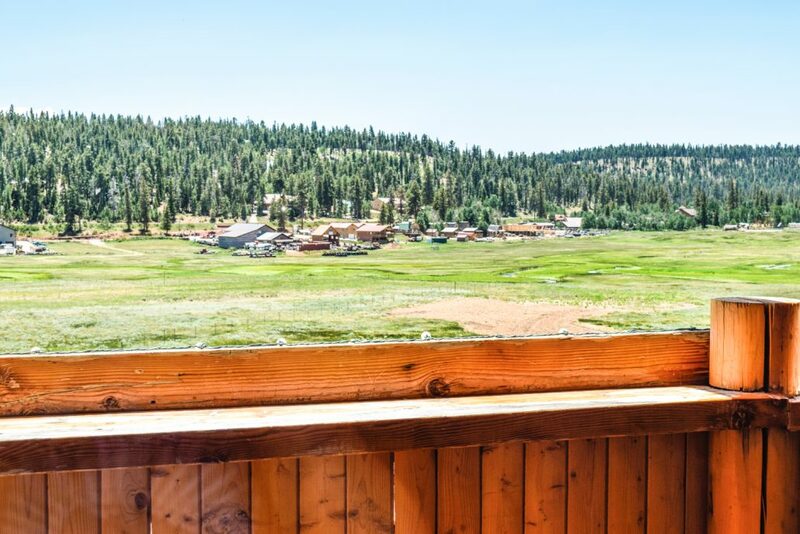 Enjoy the view from the extensive windows facing to the south which overlook Duck Creek Meadow and the village itself. Walk around the 1600 ft deck that completely surrounds every floor. We regularly count upwards of 50 deer coming into the meadow at dusk and recently have been entertained by a family of foxes that hunts and plays in the meadow. You can almost always see a few Red Tail Hawks and Falcons cruising over the meadow, swooping down occasionally to pull a fish out of the Duck Creek. Watch for the extremely social marmots that sun themselves on the rocks below. When we came across Duck Creek Village Utah we were blown away. This area located in the heart of the Dixie National Forest was a combination of everything that we could image it to be. Our first impression had us in a dream state because it made us feel at peace more than anywhere we had been. Duck Creek Village Utah has so much to offer including; breathtaking views, National Parks, spectacular fishing, hiking, biking and every outdoor activity possible. This area features the most outrageous trail system for ATV’s, side x sides, and in the winter snowmobiling as well. Great location for family reunions, weddings, group or family vacations and corporate getaways! Why You Shoud Choose The Lodge!